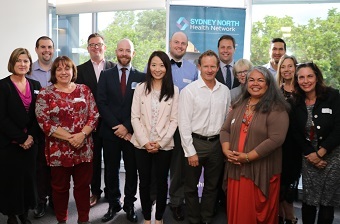 Six innovative new services have been launched on the northern beaches to help combat the rise in mental health problems and suicide. As well as one-to-one counselling, which will continue to be offered, people suffering with low-level stress and anxiety will be able to access help via phone counselling and online e-courses. There will also be one-to-one sessions over Skype for those stuck at home, such as mums. For people with severe needs, like those who have attempted suicide, more ­support will be offered. A care co-ordinator will be assigned to that person to connect them with the right help. David Thomas, CEO of Lifeline Northern Beaches, which will offer some of the new services, said it was important to capture those who had low-level mental health problems, as well as the severe. “We need to help people early to prevent problems escalating,” he said. Magda Campbell, chair of the Sydney North Health Network, said youth mental health was a significant issue for the region, with one person a day, aged between 15 to 19 years old, admitted to hospital with self-harm, suicidal thoughts or attempts. She said the network had received $22.5 million over three years to commission new mental health treatment services in the region. David Grant, who helps commission services for the PHN, said more than 300 people within the medical community had been consulted on what services were needed in the area. Jason Falinski, member for Mackellar, said the money was to help people falling between the cracks. “It’s all about changing the services to meet the needs of the people,” he said. “There are coping mechanisms people can learn to deal with stress and anxiety. Photo credit: Jason Falinski MP’s Office.